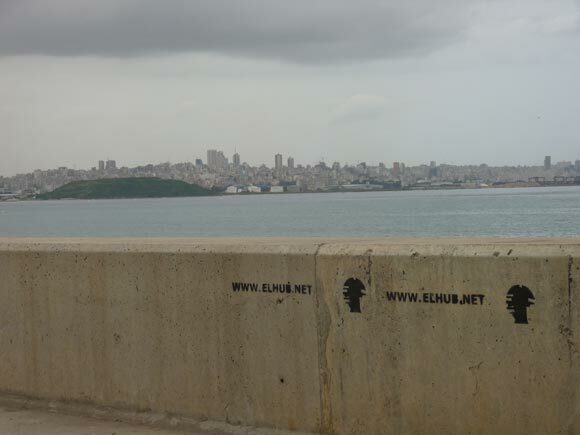 Following the path of these studies, ELHUB is part of new types of initiatives emerging in Lebanon that reflect the general exasperation of Lebanese with the standards of everyday life. True, the weather is ideal, sceneries beautiful and the food exquisite. But is that enough? Let us see: a density of population in the top 25 in the world; highly noisy, polluted and engorged cities; reduced mobility due to massive traffic jams and lack of appropriate public transportation networks; expensive standards of living compared to average salaries; quasi nonexistent in-city places to relax without financial expenses; and the list goes on. All these points show another side to life in the Lebanese cities, not all due to our favourite scapegoat, the civil war. 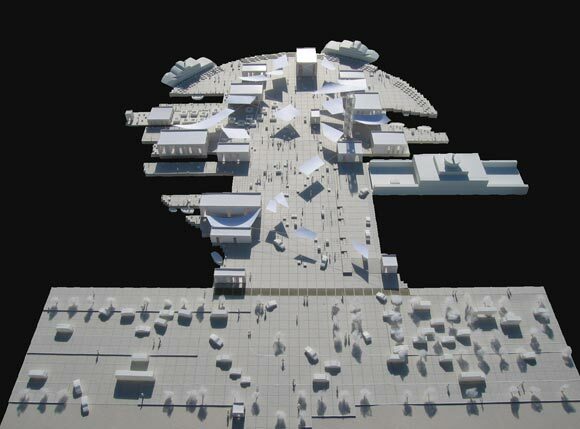 ELHUB is an architectural/urbanistic project that started in 2007 as the Master Thesis of Frederic Karam and Léonard Gurtner at the Polytechnic School of Lausanne and is now a wider research pool. ELHUB, like its name suggests, proposes the design of hubs on water that host and promote boat-line transportation. These hubs, by becoming new points of convergence where traffic and people flow, relieve the coast of some congestion. But they also work as people-attractors and are an opportunity to either create breathable spaces for crowded cities or boost the more remote areas. Undeniably, Lebanon, as a coastal province has always benefited from its location, be it for economical, social or political reasons. The country is a strategic transit area with ports in major cities. 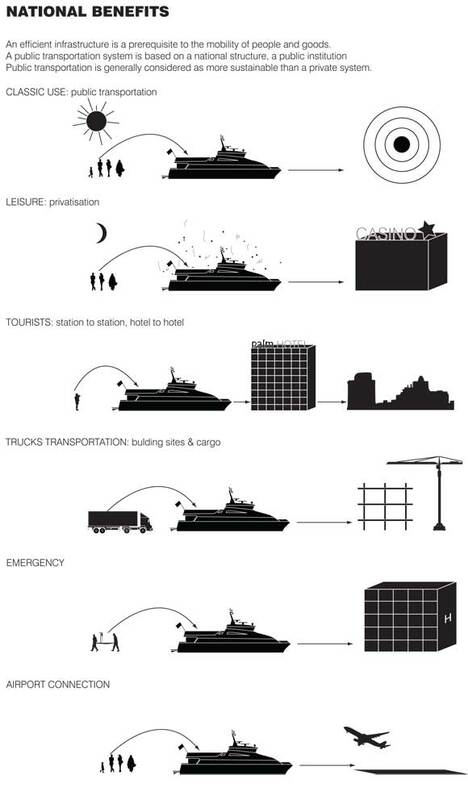 Also, an important portion of the leisure business relies on shores and beaches. And more specifically, on a local urban level, the sea contributed to the identity and orientation of Lebanese cities, with the exception of the Bekaa Valley, all situated along the coast. These cities were built not only to face the sea but also to include it in its built blocks; see for example Saida and Jbeil with constructions reaching out to the water or Trablous and Beirut with its Corniches, all highly praised areas for their unique on-water sensations. It therefore sounds reasonable to say that historically Lebanon has been, on a macroeconomic and domestic scale, close to its waters. It is consequently a puzzling fact that, maintaining some of the economic importance of its sea, Lebanon has, since its independence, worked towards downgrading its accessibility and urban alliance to it. Accessibility spans a large scope of issues, from mental to physical ones and Lebanon’s history has downplayed many of them, shutting and locking the reach to its shore (and to many other places for that matter). Two quick illustrations of this: the too few spots left on the coast for the common man to enjoy the seaside and the fact that, in important inhabited areas of the coast (Ouzai, Dora…), it is easy to forget that you are just few meters from water with commercial, industrial and no-man lands turning their backs to the sea. These points deal with urban integration of water which is important both for the quality of life and long-term economic stakes, as will be explained in a moment. 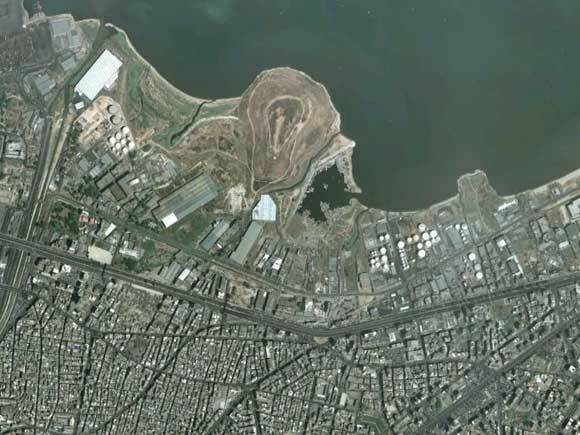 To sum up, Lebanon has retained its immediate profitable uses of water, forgetting the less profitable human level; which is not justified because 60% of its population lives along the coast. No one would object, the coast is jammed and fluidising this part of the country has become a top priority for many political stances. Since building more inland networks is problematic, and rehabilitating the train even more, turning to the sea sounds like an attractive idea. For everyday routine, the comfort of travelling by boat is significant: various services, free time, scenery and the like. Travellers can relax, eat, discuss and interact, instead of cursing everyone in traffic. For other uses, leisure, nightlife, family visits or tourism, it implies more safety, no hajjez and pleasant group travels. 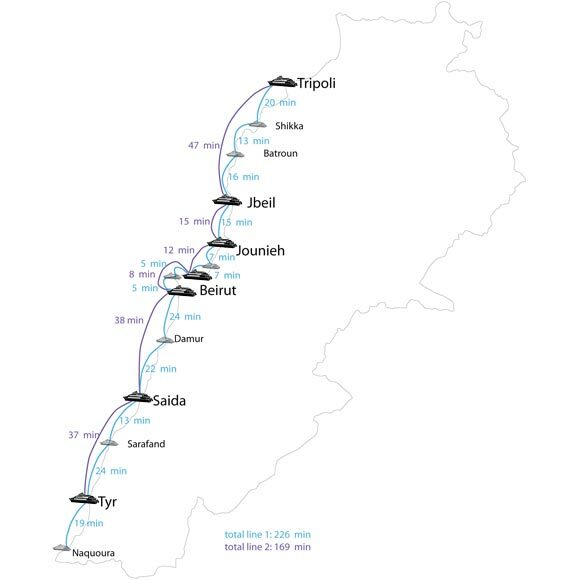 The network is designed to serve main coastal points: Beirut, Saida, Sour, Jbeil, Jounieh and Trablous but also to include minor ones like Naquoura, Sarafand, Damur, Batroun and Shikka. With the appropriate high speed catamarans, the direct boat line travels the country in 2 hours and a half instead of 5 hours and a half during rush hours. The overall trip is pleasant, with pier and onboard facilities and comfort. This will hopefully encourage mobility of workers and vacationers at least throughout the coast. The bigger catamarans can also be used for transportation of goods and vehicles. Being a public transport, ticket fares should be low, with other possible price bundles combining other means of transport (service, bus, taxi). There could also be different fares for different comfort standards in accordance with the Lebanese demand. Having said that, ELHUB is not only about having boats transport people, tourists or goods. It is, above all, about using a common need, mobility, as an opportunity to get persons from different regions of Lebanon together on the hubs, in an attempt to attenuate both regional and mental accessibility barriers. A common need for a common space Having an affordable system linking coastal points is a first step towards Lebanese appropriation of their own territory. However, catalysers and motivators for the use of this system have to be the stations themselves. Fist of all, these stations are designed to become hubs by hosting various means of transport. Their location has been carefully studied to ensure accessibility from existing infrastructures. They offer dedicated spaces such as parking lots, bus stops and taxi/service points, as well as operational places such as ticketing and administration. This will hopefully shift traffic from inland to the hubs releasing some congestion due to improvised in-city hubs such as Dora, Barbir, Cola, to take Beirut as an example. The stations become people-attractors and these knots are an opportunity to encourage happenings. So, they are platforms built on water with flexible floating structures; simple platforms with no predefined architectural strictness. They are generic, i.e. the same throughout the coast, offering neutrality so they can easily be appropriated by the locals. 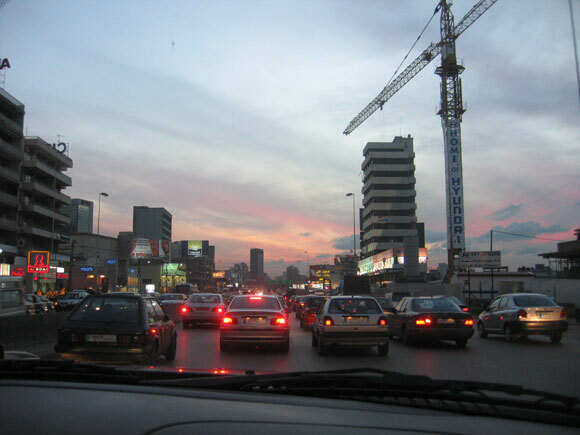 Even though a certain number of specific services, such as cafés, restaurants, kiosks and shops are predefined, we count on the Lebanese spontaneity and commercial incentive brought by travellers, ambulatory merchants and commercial venues as well as vehicle drivers to mould and generate spaces on and around the hubs. We also found interesting to design plug-ins with refurbished boats that travel from station to station and attach themselves to the platforms, hosting activities such as events, markets, cinemas and infinite other possibilities. All these activities are what render the system somewhat lucrative to insure financial sustainability. The hubs, their implantation and the boat trips provide a connection to the sea, reconciling the inland with the well known atmospheric qualities of the seaside. The ultimate objective is that the stations become hubs in every sense of the word: transport, commercial, leisure and cultural. A dynamic spot where people, goods and ideas converge, blend and then dispatch. By reducing congestion and therefore facilitating mobility at an affordable price, the project aims at connecting people and regions, thus revitalising coastal points by urbanely reorienting them to the sea. Over the years, we tried to promote the project using media and political canvassing. 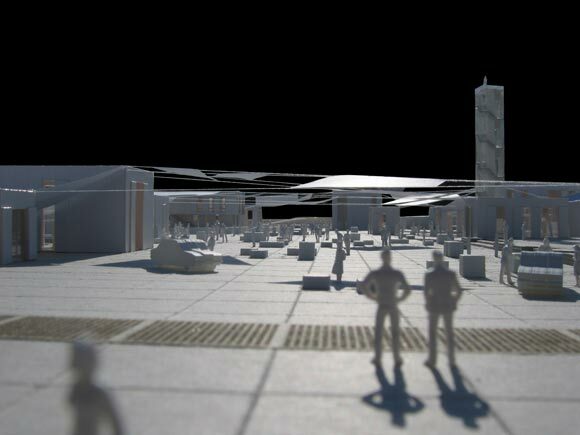 A more conceptual approach that includes artists, landscapers and researchers is currently being completed. But as architects our job is to address specific urban and design topics. And important work has yet to be done by partners and various types of consultants: the financial situation of the government does not allow 100% public funding and new durable financial structures have to be found. Some have apparently implemented boat transportation In Lebanon (cf. Beirut Water Taxi) and can be considered as a first step towards the initiative of building stations like ELHUB. However such enterprises remain exclusively up-market oriented with high fares (including a tax to the government whereas no public service is present in return…) and entirely commercial venues. They do not wish to address urban or social issues ELHUB was trying to face. ELHUB is born and evolves for and with the people. It is designed to respond to specific Lebanese needs contributing to their everyday comfort but more importantly to necessary social mobility and urban accessibility. We do not underestimate this difficult task and this is why, beyond the actual construction of ELHUB, we would like this project to represent a new type of initiatives that we hope will be heard and demanded by the Lebanese. Related to this platform is the facebook page that features our blogs posts in addition to punctual events, actions and news.